In a weird incident, bees stopped the fourth ODI match between Indian A and England Lions for around 15 minutes at the Greenfield International Stadium on Tuesday in Thiruvananthapuram after a group of spectators stirred the beehive while the match was in progress. As per reports, Around five people were injured in the bee attack and were immediately rushed to the nearest hospital for medical care. 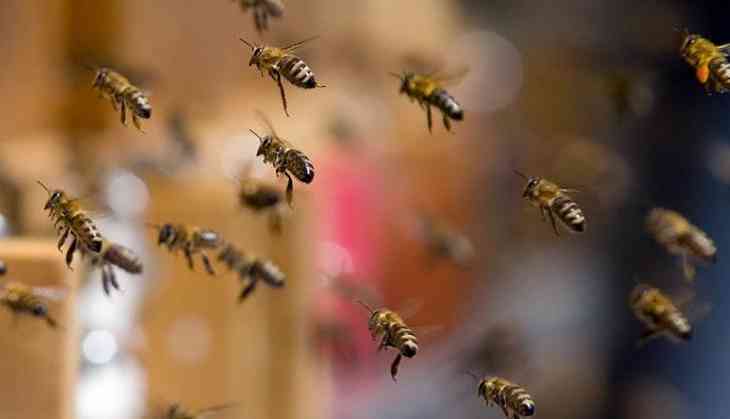 According to New Indian Express, officials said a group of spectators who wandered to the secluded area in the west stand provoked the bees by throwing stones at the beehive when the 28th over was in progress of the England Lions innings. “It was an unfortunate incident. We had ensured that the gallery where the spectators who sit for watching the match was cleaned ahead of the match. But it was some spectators who went upstairs where they were not supposed to go in the normal circumstances and stirred the hive unknowingly or mischievously,” Ajay Padmanabhan, Chief Operating Officer, Sports Faculties ltd, told to Express. Also read: The war of words between Shoaib Akhtar and Sarfaraz Ahmed over the latter's 'Abey Kaale' remark will blow your mind! Sara Ali Khan won't star in Imtiaz Ali's 'Love Aaj Kal 2' and the reason is surprising! READ NEXT >> Sara Ali Khan won't star in Imtiaz Ali's 'Love Aaj Kal 2' and the reason is surprising!